In order to apply for college, students will need to send in their scores from one of the required college-readiness exams, either the SAT or the ACT. 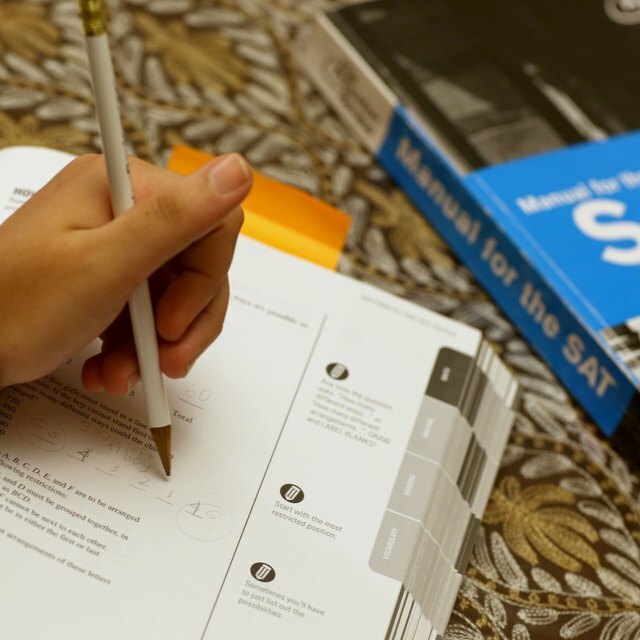 When it comes to the SAT vs. ACT, you may have heard that the SAT is the college-readiness test that most colleges prefer to see from their applicants. However, that's no longer true. Students may, therefore, opt to take both tests and submit the score from the test on which they feel they've done better, or they might choose to put all their efforts into doing their very best on just one of the tests. Regardless of what you decide, you're bound to hear a lot of information about the ACT while you're in high school. If you want to make sure all the information you're hearing about this test is completely accurate, then you must go to the correct source. The ACT, which stands for "American College Testing" or rather the "American College Testing Program," is one of the most important college-entrance exams a student will have the opportunity to take before sending out applications to various colleges and universities. The ACT exam made its debut in 1959 by Professor Everett Franklin Lindquist of the University of Iowa, who wanted to give all students a chance to succeed. Unlike the SAT, which had primarily measured a student's aptitude, the ACT is supposed to reflect what students have learned during their time in school. 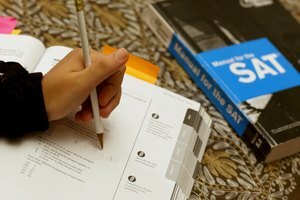 Essentially, the ACT was designed to give students another opportunity to demonstrate that they are ready for college in a way that the SAT cannot. College admissions offices will use your ACT score to compare with the scores of other students as part of the admissions process. The higher your score, the more likely you are to be accepted to the school of your choice. However, it's important to keep in mind that your ACT score is only one of the criterion. Colleges will also look at your GPA, your involvement in extracurricular activities and your college essay. What's on the ACT Test? Because the ACT is a college-readiness test, the test is broken up into four different sections that are closely tied to the core subjects: English, reading, math and science. There is an optional writing section as well, but there is no social studies section. Students may choose to take the writing section of the ACT if the colleges they are looking to apply to ask for it or if they think it will help boost their score. This is something you will have to consider before registering to take the test. The ACT test without the writing section is two hours and 55 minutes long, and with the writing test, it will be three hours and 35 minutes long. It a multiple-choice test, and you will use a pencil to mark your answers. For the test, you are allowed to bring as many sharpened No. 2 pencils as you think you'll need, a calculator such as the TI-89 (check the ACT.org website for more specific information regarding permitted calculators) and a simple analog or digital watch. You must also bring a photo ID and a copy of your ticket to the test center. You can bring an electronic device like a cell phone; however, it must be shut off and stowed away during testing. If your cell phone accidentally goes off during the test or if you are caught checking your phone, it will result in dismissal from the testing room. There has been a lot of discussion regarding the ACT vs. SAT. Questions have arisen such as, "Which test is better for me to take?" "Do I have to take the ACT and the SAT?" or "Which test is easier?" 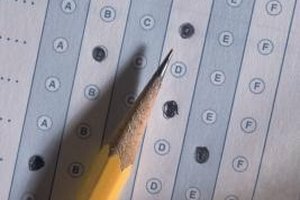 The first thing to understand is that the ACT and the SAT are both very different tests, though they do share some similarities in terms of what colleges examine. Perhaps because the SAT has been around longer than the ACT, many believe that it's the SAT that colleges want to see, not the ACT. While that may have been true at some point, it's not the case nowadays, and students can take any test with which they feel more comfortable. For example, students may choose the ACT because they feel that they would excel in the science section, which would improve their overall score. Other students may prefer the SAT if they are stronger at algebra than geometry, as the tests differ in the kind of math questions they contain. It all depends on what you feel your strongest points are, and you can take a look at practice exams of both the ACT and SAT to see which makes more sense for you. Contrary to popular belief, you only need to take one test to apply for college, though some schools may recommend doing both. For instance, Princeton's application page says that students must submit the ACT or the SAT, but if they choose to take and submit only their ACT scores, it's recommended but not required that they also submit two SAT subject tests along with their application. At the same time, students may simply feel that it's better to take both tests and see which one they do better on before deciding which scores to send to their school of choice. Your best bet is to speak with your guidance counselor and check what the specific schools to which you're planning on applying look for in terms of testing. There are many ways to prepare yourself for the ACT test. ACT.org has excellent resources for students who want to make sure they are as prepared as possible when test day comes. First and foremost, you can sign up for their ACT Academy, which is a free online learning tool to help you get the practice you need in order to help you get the score you want. Otherwise, you can look into buying various test prep materials, such as the "Official ACT Prep Guide," an ACT online prep course or a live online teaching course with ACT Kaplan online prep live. In addition to these course materials (or separate from them), many students decide to take a practice ACT test or look at practice questions long before it becomes time to take the actual test. This will give students an opportunity to see what scores they are obtaining and what they need to improve in order to get their desired score. All of these materials are available on the website, but you can also inquire about other materials at bookstores, libraries or at your high school. When Are the ACT Dates? Most students decide to take the ACT either in the spring of their junior year of high school or in the fall of their senior year of high school. 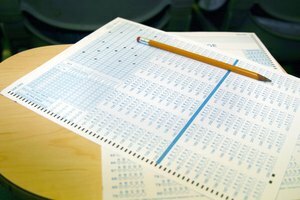 In general, most students will take the test for the first time as a junior and sooner rather than later because it will give them plenty of time to take the test again if they don't get the score they desire. The ACT test is administered in September, October, December, February, April, June and July every year, although in some states, it's not given every month. For exact ACT dates and test centers near you, check the ACT.org website. Once you've checked the ACT dates and decided on the test date for which you'd like to sign up, you're going to have to register to take that specific test. To register, you must make an account on the ACT.org website. Once you are logged in, it takes about 40 minutes to register. Before registering, make sure you have available all the information you need. You will need to, of course, have a computer with internet access as well as a headshot photo of yourself, your high school course details, credit card or debit card, a parent's email address and the specific codes of any college or university to which you may want to send your score. You should also know where you plan on taking the test since there are multiple test centers in each state, whether or not you want to do the writing section of the test and if you'll need to request specific accommodations because you are an English language learner or you have other needs. The registration deadlines are different depending on which date you want to take your test. Because tests are given nationwide on the same dates (despite a few states like New York and California that do things a little bit differently), all the registration deadlines are the same across the board. In general, the registration deadlines are just about a month before the date of the test. For instance, the registration deadline for the test on April 13, 2019 is March 8, 2019. That being said, the registration deadlines for each test date differ, so be sure to check in advance so that you don't miss the deadline. If you miss the deadline, you'll have another two weeks or so to register, though you will be required to pay a late fee of $30. Another reason that students may choose to take only one test or want to do their absolute best the first time around is because it costs money to take the ACT (and the SAT). In order to sign up for the ACT, you'll need to pay an ACT registration fee of $50.50 without the writing section and $67 with the writing section. There are some other fees that may be worth checking out. For instance, if you need to change your test center or your testing dates, if you want to sign up for standby testing or if you need to send your scores to additional college choices later on, there may be additional fees. After you've taken the test, it's time to understand your score. Did you do well, or should you think about signing up to take the test once more? The highest score you can achieve on the ACT is a 36. Each section on the test has a certain number of points you can earn (you only get scored on questions you answer correctly), and those points will be added together to get your total score. Scoring between a 34 and a 36 is a very good score, while a 20 is the average score. However, what's considered a "good" score really just depends on you and the school at which you're looking. There's no question that the most prestigious universities, such as Ivy League schools, will want their applicants in the 99th percentile, while some state schools may be thrilled to see their applicants with a score of 29. To find out more information about what your prospective schools look for in terms of ACT or SAT test scores, you can call the admissions office or do some research online. PrepScholar: What Is a Good ACT Score? A Bad ACT Score? An Excellent ACT Score? The Princeton Review: What is the ACT? PrepScholar: Do You Need To Take Both the ACT and SAT? LaRock, Hana. "About the ACT." Synonym, https://classroom.synonym.com/about-the-act-13714789.html. 12 September 2018.